To show a rental property to a new tenant in Baton Rouge, many first time landlords simply show up at the scheduled time with little preparation. 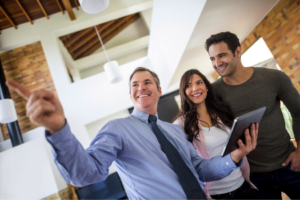 In this article, we will cover the steps to effectively and safely show your rental home. First and foremost, you need to consider personal safety. Let a friend or family know your schedule, and check in with them when you arrive at the rental property, leave the rental property, and arrive at your next destination. The process is really no different from taking a hike somewhere in that you never know what may happen when you are outside your home; remember you are meeting strangers at the property, not friends and family. Be Safe. Next, be at your rental property at least 15 minutes before your appointment time as this will give you the opportunity to quickly pick up stray rubbish that may have blown in, check the mailbox, and maybe even pull that pesky weed by the front door. Once inside, you can open the blinds and set the thermostat for a comfortable temperature before your prospective renters show up. These small touch ups only take a few minutes, but can make a significant difference in the prospective tenants’ first impression. Once your prospective renters arrive, greet them at the front porch and show them into the home. For safety purposes, let them enter first and always keep yourself closest to the exits while showing the home. Now it is time for your true showman to come out – point out the amenities of the home, such as lighting, flooring, and other special features. Let new prospective renters know which appliances are staying with the home, as well as other items that they may need to know, such as parking or common interest community restrictions. Also let them know about the closest public transportation, shopping, and other points of interest in relation to the home. Stay with the prospective residents but do not hover – let them tour the home and give them room to discuss features. When it comes to showing your rental property, your goal is to have prospective renters envision themselves living in the home. The more references you can make that will help them feel comfortable and like they have arrived in a place to call home the better. Once the tour is complete, ask them whether they would like to fill out an application to lease. 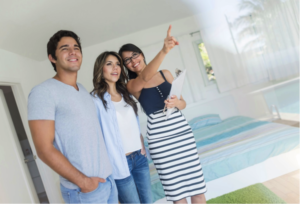 Be careful not to make comments that may lead renters to believe they have already qualified for the home as you never know what the approval process will uncover. Set a sense of urgency with prospective renters with regard to the application – let them know you have other appointments and will be processing applications on a first come, first serve basis. Also provide them with a timeline for your decision. A properly and well thought out agenda and day can make sure you are safe and not rushed for this important step in renting your investment property.